Originally from Argenta, IL, Roberts obtained his first research experience at the James R. Randall Research Center in the Archer-Daniels Midland Co. While attending the University of Illinois, Roberts worked in two research groups; Seabauer Group (semiconductor defects for nanoscale devices) and the Kenis Group (microfluidics for applications in energy, crystallization, and cell study) both in the Department of Chemical and Bimolecular Engineering. Roberts' undergraduate work in the Kenis Group produced an original journal article and a patent on microfluidic device for preparing mixtures of fluids with highly differing viscosities for applications in membrane protein crystallization. Roberts was highly active in the student AIChE chapter at Illinois where they attended multiple regional and national meetings as well as hosting a regional meeting. Roberts was a leader in their chapter's ChemE Car Competition. At the University of Kansas, Roberts was awarded the distinguished Madison and Lila Self Graduate Fellowship and began his work with solid acid mesoporous materials for heterogeneous catalysis in conjunction with the Center for Environmental Beneficial Catalysis (CEBC). Roberts' doctoral research focuses on integrating wastewater cultivated algae to hydrothermal conversion as a part of the KU Biofuels “Feedstock to Tailpipe” © Initiative through the KU Transportation Research Institute. 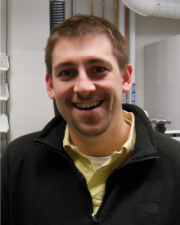 Travis attended the University of Maine where he received his BS in Chemical Engineering in 2009. While attending the University of Maine he worked in the research group of Dr.David Neivandt in the area of bio-oil upgrading. His research focus was in the polymerization of hemicellulose extracted from wood chips to higher value products, specifically, for use as filler for reduction of starch costs during the paper making process. 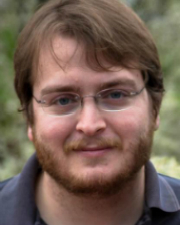 Travis is currently an NSF IGERT fellow in the Climate Change Humans and Nature in the Global Environment (C-CHANGE) program at the University of Kansas. His research interests include heterogeneous catalysis, catalyst modeling and material science. His current research project, an interdisciplinary project in the areas of chemical and mechanical engineering, investigates the effect of catalyst aging on oxidation of nitric oxide. 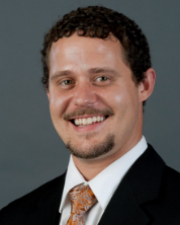 His research is conducted in conjunction with Dr. Christopher Depcik’s catalysis modeling group to generate accurate models for the effective implementation of Lean NOx Trap (LNT) catalysts for use inafter treatment of diesel engine exhausts. This research is conducted under the Feed Stock to Tail pipe initiative at the University of Kansas.